1. 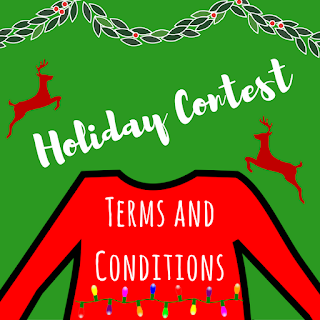 To enter you must post a picture of your ugly holiday sweater in the comments section underneath the original posting of the contest on the Rogan’s Shoes Facebook page. The person who posted the picture with the most likes will receive a $100 online coupon code. 2. The winner must not have previously won a Rogan’s Shoes contest within the last 6 months. If a selected entrant has won another Rogan’s Shoes contest within 6 months prior to December 12, 2016, the next entrant whose posted picture received the most like will be the winner. 3. Entries will be accepted beginning at 9:00 a.m. CST on December 12, 2016 and ending at 9:00 p.m. CST on December 31, 2016. 4. Only one photo is allowed per person. 6. The person who receives the most likes on their photo will be the winner. The winner will be announced the first week of January and will receive an online coupon code valued at $100. They will be contacted via Facebook Messenger to obtain the winner’s email address so the coupon code can be sent to the winner. The coupon code is good toward the purchase of any shoes or other merchandise at www.rogansshoes.com. 7. By entering this contest you agree that your first and last name (or whatever name you use on Facebook) and your ugly sweater picture may be posted on any social media site run by www.rogansshoes.com. 8. You must be 13 years of age or older and reside in the United States to enter. 9. Employees of Rogan’s Shoes Incorporated and their families are not eligible to enter this contest. 10. The winner will not be eligible for free shipping unless the total of the order purchased with the online coupon is at least $50. 11. The winner will not be able to use their prize to obtain shoes from the following brands: UGG, Dansko, Air Jordan, Keen, Keen Utility, Merrell, Jessica Simpson, Minnetonka, Rockport Works, Sanuk, Danner, Under Armour and BOGS. 12. The prize must be redeemed by January 31, 2016. If you have any questions, email at socialmedia@rogansshoes.com or message us on our Facebook page! Enjoy and have fun in the contest!